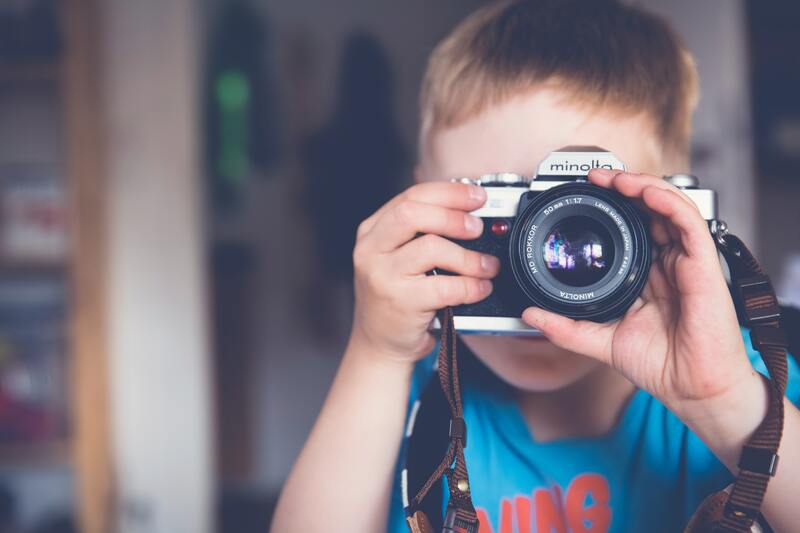 You can use these 5 tips for taking great kids pics with any type of camera, including your phones. I’ve photographed hundreds of children, so I know well the joys and challenges that come with this! 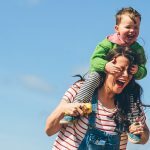 As a parent myself, I understand the difficulties and challenges of trying to get good photos of your kids whilst in busy mum-mode. Whilst expensive kit of course creates better quality images, there are a number of really effective tools that will dramatically improve your pictures. Photography literally means ‘painting with light’. Light is without a doubt the thing that has the biggest impact on the quality of any photo. When you’re outdoors, avoid harsh, direct sunlight – ideally take photos in gentle, cloudy light or in the shade. If you can’t, then make sure the sun is behind your subject to prevent squinting and looking washed out. 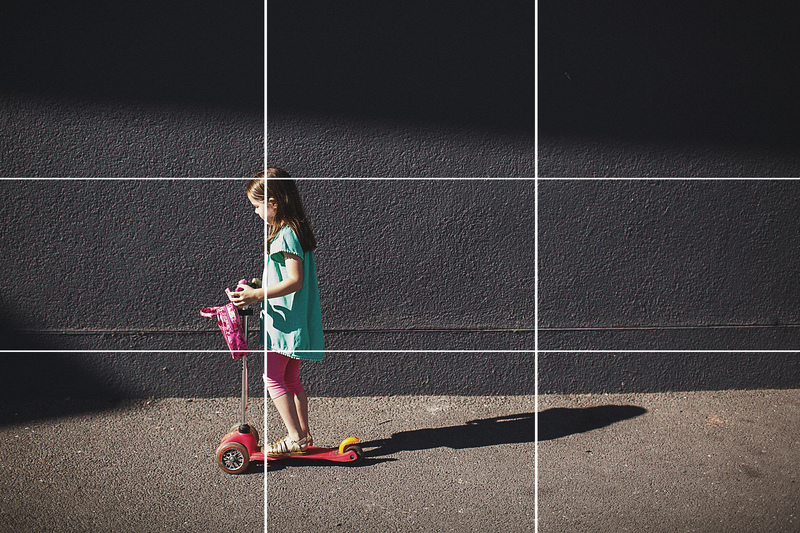 The rule of thirds tells you to break your image into thirds with two lines both horizontally and vertically. For greatest visual impact, points of interest should lie along these four lines. Especially at the four points where these lines intersect. Many camera phones call this the ‘grid’ and you can turn it on to help guide you while you’re taking photos. Kids don’t like sitting still – they move – a lot, and quickly. 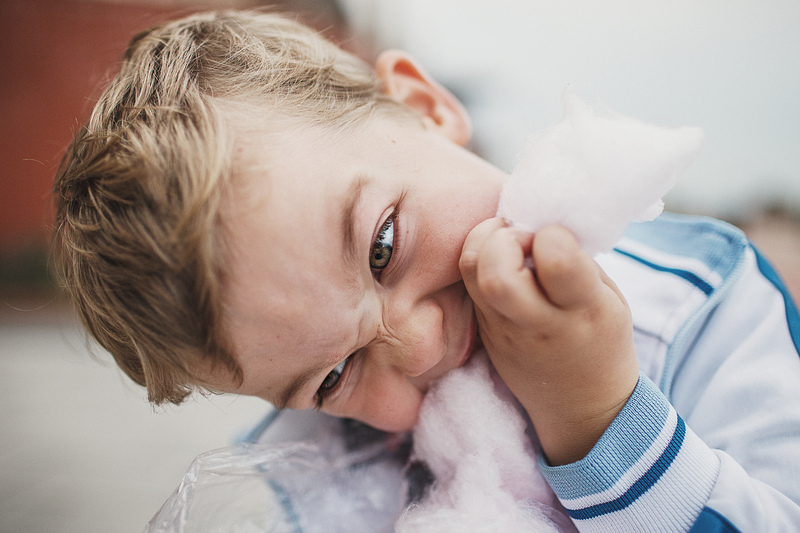 Often the biggest challenge is catching them in that short moment when they’re doing whatever you want to capture. If you press the shutter just once, you risk missing this altogether, usually just by a split second. Shoot in continuous mode so that you have a number of frames captured within a couple of seconds. You can then flick through these and choose the best one(s). Most cameras, including phones, have a continuous shooting mode (also known as ‘burst mode’). This is activated by just holding your finger down on the shutter button instead of pressing and releasing. Getting in close – fill the frame with your subject, get as close as possible and capture all those wonderful details (eyes, hands, feet, mouths, noses, hair)… These can have huge impact in a photo and make for an interesting and unique portrait. 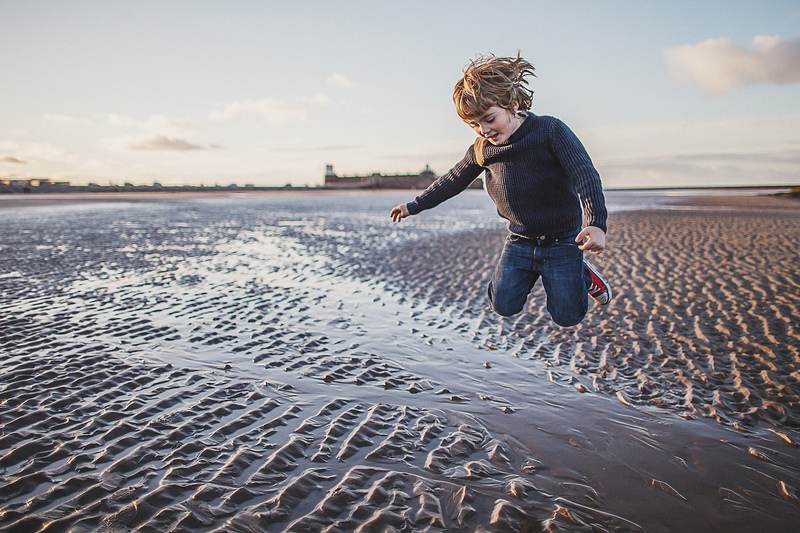 Moving further away – step away from your subject, either to create a lovely environmental portrait (perhaps showing your child in their bedroom) or to use negative space (when you fill most of the photo with a blank wall or a sky etc). By leaving the majority of the image blank or undetailed, you can draw more attention to the subject. Shooting from above – try looking directly down on your children playing on the floor, so you have a ‘bird’s eye’ view of them. Shooting from below – getting down low and shooting upwards towards your subject can isolate them from ground-level clutter (great for photographing in a messy room!) It can also make them look much more dramatic. Genuine moments are by far the most valuable things to photograph. As soon as you let your kids know you’re taking their photo, especially if you ask them to look at you and smile or say ‘cheese’, you’re creating an artificial moment; and the results won’t be as ‘real’ or interesting. If they’re absorbed in play, try to sneak up on them quietly. Watch them carefully and wait for the right moment. It takes patience but the results will be so much more meaningful and impressive. 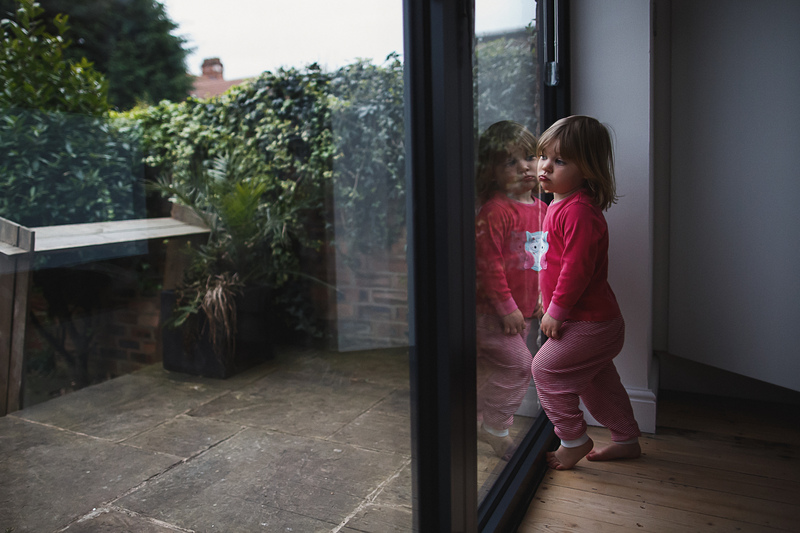 Anna is a photographer specialising in honest, relaxed, documentary family photography that celebrates real life, character, emotion and individuality. 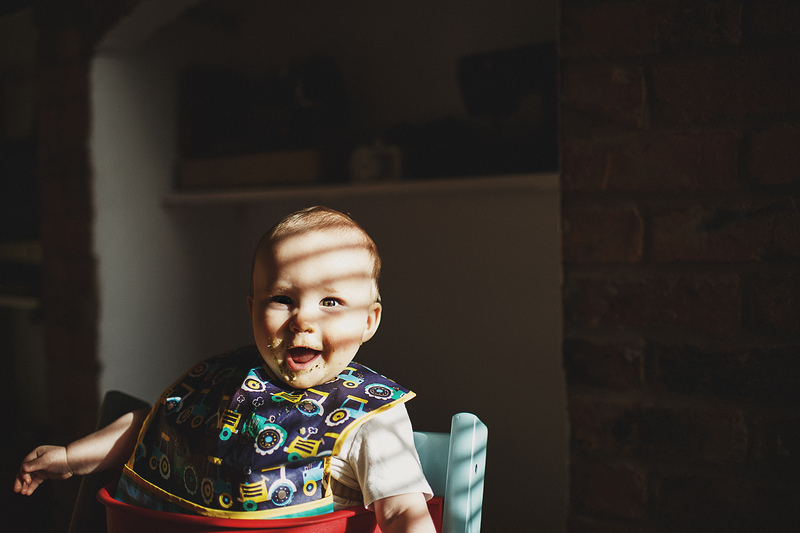 She mentors and runs workshops for other photographers, helping them to carve out their own successful photography businesses. A proud mum to two lively boys aged 13 and 3.